The Pizza Snob’s real job sent him to New Orleans for a few days. It had been over a decade since I visited this exciting city known for its fun, frolic, and more than anything its food. In my times there I had never eaten pizza and my recollection of the local cuisine caused me visions of Pizza Étouffée! However, my advance work resulted in a few places that seemed worthy of my time. 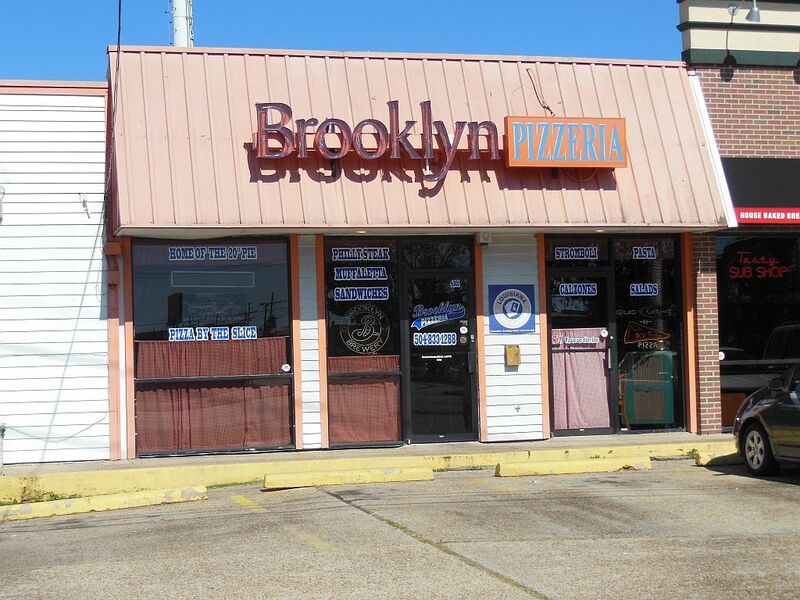 The pizza joint that attracted my attention most was Brooklyn Pizzeria in nearby Metairie (“MET-uh-ree”). Since it was just a brief cab ride from Louis Armstrong International Airport, I planned it to be my first taste of Louisiana pizza. BP sits in an old strip center on the “Vet,” a main pre-interstate road that takes you into the Crescent City. The driver let me off just before noon on a Sunday, so I had to wait a few minutes for them to open. I was their first customer of the day, and I ordered two cheese slices and a salad at the counter. I felt right at home in this laid-back casual joint. I even felt like I was in Brooklyn! BP is a family business run by Todd Duvio, a transplanted New Yorker. Todd had the misfortune of opening his business just eight months before it was ravaged by Hurricane Katrina. He carried on by working from a mobile kitchen and has been in his current location since 2007. Todd has put together a nice menu of pizza and “fold-overs and rolls” as well as some tempting Italian deserts. BP calls itself the “Home of the 20-inch pie.” Its large $2.75 slices seem to be cut from this size pie. From my table I was able to watch them start the day by firing up several pies that would serve as the day’s first “slice-pies.” After a short wait, the slices were delivered to my table with a greeting of “fresh out of the oven.” As I let these piping hot slices cool a bit, I noticed that the sauce had a slight orange tint to it—a foreshadowing that I was about to experience something different. They also looked heavily seasoned with a thin crisp crust that was blackened on the bottom. As soon as I crunched my first bite, I knew that this pizza was something special. It was delicious! When my salad arrived, I told the server of my joy and how I thought their slice was classic with a remarkably unique flavor. He offered that the cheese was a special blend and that the seasoning was also original. (Todd would later tell me that he acquired the recipe from an unrevealed source when he started the business.) You may notice that BP’s pie carries a touch more cheese than usual but it was nicely melted and had a perfect coating of oil to grace its flavor. My lunchtime at BP made me reflect on the joy of what The Pizza Snob is all about—to let the world know of the best pizza places in America. Brooklyn Pizzeria is one of those, and I hope that you, too, can experience it! 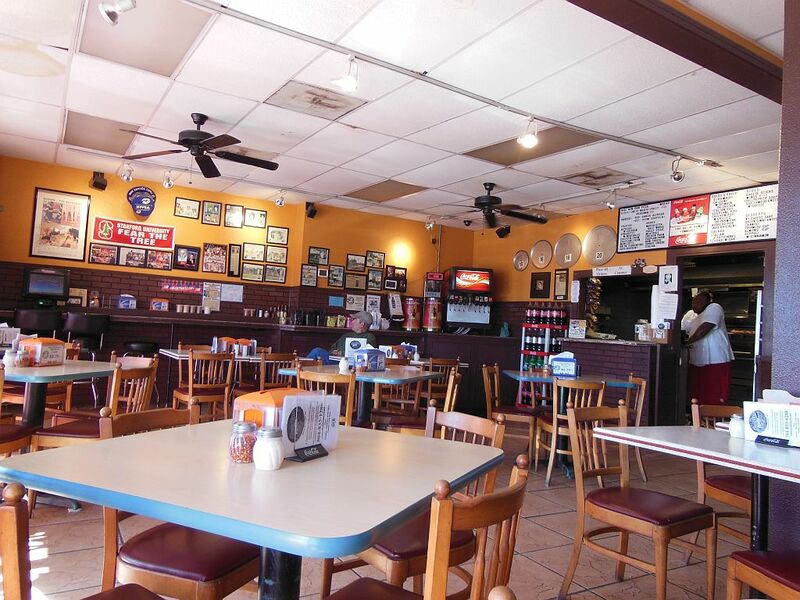 Listen to the local Unknown Food Critic name Brooklyn Pizza as New Orleans’ best. Look like you a slice of heaven in LA! 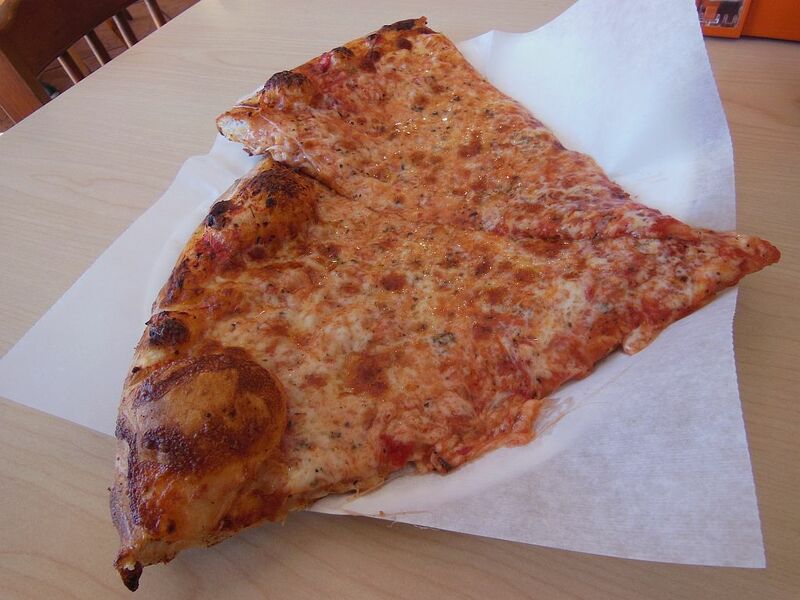 New York Pizza in New Orleans has been there for almost 30 years, and is very well-regarded, too.